​Description: In 1999 Commission Crawford delivered a report title “"Independent Inquiry into the Shoalhaven River System". Riverwatch considered this report was excellent and Riverwatch’s letter to the Commissioner stated “The Inquiry was warmly welcomed by Riverwatch as a golden opportunity to address many of the environmental issues of the River.” Riverwatch made a number of submissions during the drafting of the report and when public submissions were invited. The report received considerable public attention including a number of public meetings. However the report did receive considerable criticism which was lead by the local Mayor at the time. One of the recommendations made by Commission Crawford was the development of a Shoalhaven Waterway Management Plan which would define effective controls for boating and other waterway activities. The Plan would address environmental sensitive areas, such as vulnerable river banks, seagrass beds and important fish habitat areas as well as speed restrictions and/or other limitations to protect these environmental sensitive areas. ​Shoalhaven Estuary Boat Safety Plan have been produced, a comprehensive Waterway Management Plan has still not been drafted. Description: In 2006 the State Government and Council jointly funded Umwelt consultant to draft a Shoalhaven River Estuary Management Plan under Council’s Shoalhaven River Natural Resource & Floodplain Management Committee (SRNRFMC). The Umwelt report supported the previous Patterson & Britton report, however the Umwelt report went further to recommend wakeboarding restrictions. When the 1st draft was presented to the Committee, the Chairperson moved a motion that there should be no boating restrictions on the River irrespective of the Umwelt recommendations, as this may affect tourism. This would have undermined the notion of an independent report. Fortunately a senior Council staff member changed the motion to recommend that consideration of any boating restrictions be referred to NSW Maritime in their proposed Boating Management Plan. The boating recommendations were then removed from the Umwelt report. At the time this overcame the impasse, but the message from Council was very clear that no restrictions should be placed on boating which may have the potential to reduce tourism. Fortunately, Council staff did produce the Shoalhaven River Estuary Management Plan which was adopted by Council in 2008. While the Plan is a good document, little resources or support by Council is given to implement actions in the Plan. Unfortunately NSW Maritime never produced a Boating Management Plan, but instead produced a Boating Safety Plan which did not address the impact of boating on the river environment. Click Shoalhaven Estuary Management Plan for a copy of the plan. Description: This Study was made possible through a Natural Heritage Trust Grant to Riverwatch in 2001. The Study was undertaken under the umbrella of Shoalhaven Council’s Shoalhaven River Estuary Management Task Force. Council organised tender documents and selected Britton & Paterson for the report. This Task Force had representatives from State and Local government as well as representatives from the local community. The Task Force also provided expert review of the report by DIPNR, NSW Fisheries and Council to ensure independence and that outcomes of the project would be acceptable to the wider community. NSW Maritime also provided practical support. Investigations undertaken for the report involved detailed field inspections which were carried out by specialist hydraulics engineers with extensive experience in the evaluation of geomorphic processes and anthropogenic influences on riverbank condition. Observations from these inspections were combined with stereoscopic interpretation of historical aerial photography to establish the primary causes of river bank erosion. Erosion along the riverbanks was mapped so that recommendations could be made on the priority of bank restoration work and strategies to reduce the causes of erosion. 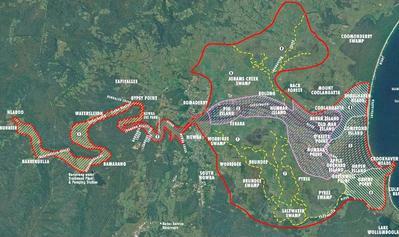 The report recommended that NSW Maritime proceed with preparation of a Waterway Management Plan for the river. See the Photographic Library webpage for 2002 photos. Description: In 2011 Riverwatch received funding to undertake a boat wake assessment on riverbank erosion. 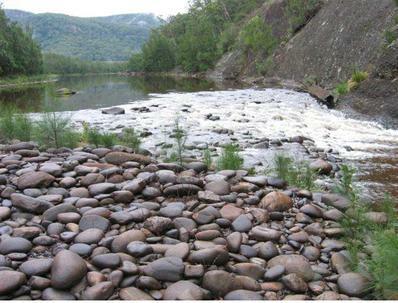 Through the Southern Rivers Catchment Management Authority, the University of NSW was contracted to undertake a study using a recently developed scientific Decision Support System to assess the impact of wake on riverbank erosion. The study was to identify the effect of natural wind waves and boat wake waves and other contributing causes to bank erosion along key reaches of the Shoalhaven River; the susceptibility of its banks to erosion; and potential management actions that can best address erosion at key sites. 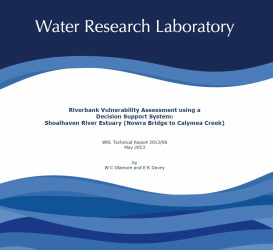 The report titled “Riverbank Assessment using a Decision Support System: Shoalhaven River Estuary (Nowra Bridge to Calymea Creek)” was release in May 2013 by the Southern Rivers Catchment Management Authority and Council. A quick glance at the report shows that an increased in boat activity would have an adverse impact on sections of the banks in the upper section of the River, particularly at high tide. Riverwatch is hopeful that State and local authorities will use the report to draft a comprehensive Strategy Management Plan for the River. Click Boat Wake Study for a copy of the study.